Description: A map of Florida as a Spanish possession stretching from the Mississippi River eastward to the Atlantic Ocean. 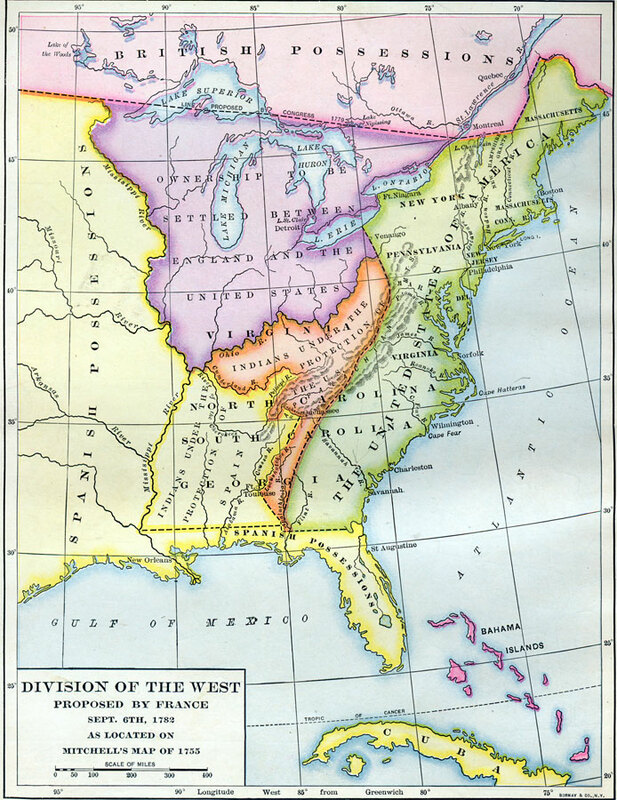 To the north of Florida are American Indian lands under the protection of the Spanish, a small area of American Indian lands under the protection of the United States, and in the East, the southern United States. These are the divisions proposed by France in 1782.